Combining short braking distances on wet and dry roads with low rolling resistance has in the past always been considered extremely problematic. 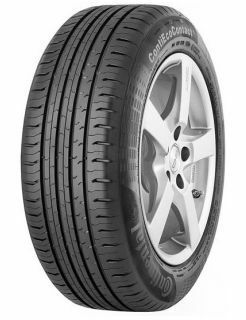 Europe's leading tyre manufacturer Continental has now launched a product which resolves this problem with apparent ease - the new Conti Eco Contact 5. The tyre engineers did, however, have to tread new ground in terms of all the tire elements involved - casing, compound, tire contour and tread pattern design - in order to achieve the high level of progress.